Try something new with our Asparagus, Boston Lettuce and Orange Salad. 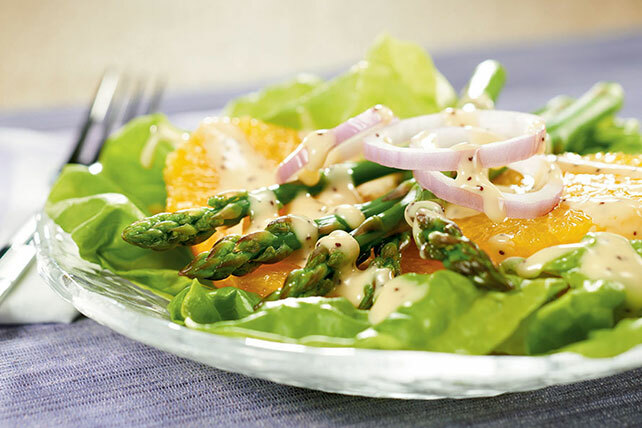 Our Asparagus, Boston Lettuce and Orange Salad is ideal for your next dinner party. Cover large platter with lettuce. Top with onions, oranges and asparagus.